On Monday, September 10, Parliament passed amendments to the Smoking (Prohibition in Certain Places) Act, which gives officers of the National Environment Agency (NEA) more powers of enforcement as well as provides for more no-smoking zones. 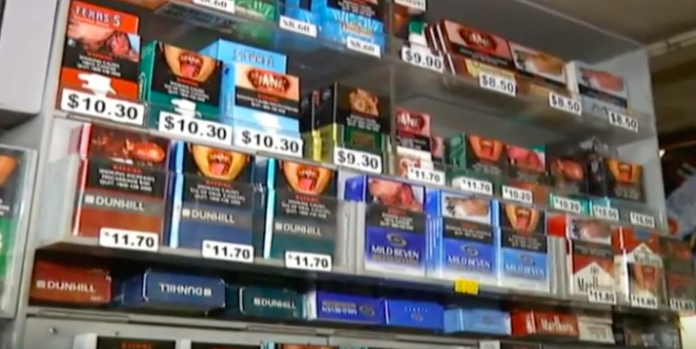 However, certain MPs feel that this is not enough to protect people from the secondhand smoke of their neighbors, and are therefore proposing more restrictions. 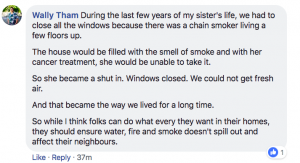 Nee Soon GRC MP Louis Ng believes that more should be done to “protect people from secondhand smoke in their own homes.” Citing complaints from his constituents who say they are affected by neighbors who smoke in their balconies and windows, and who can only be relieved from this problem if neighbors who smoke move away. 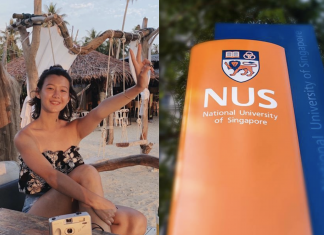 Rahayu Mahzam, Jurong GRC MP, said that the only solution is to tell the neighbors to stop smoking at their windows and balconies, while Chia Shi-Lu, Tanjong Pagar GRC MP, a surgeon, voiced his apprehensions for the health of those who breathe in secondhand smoke. 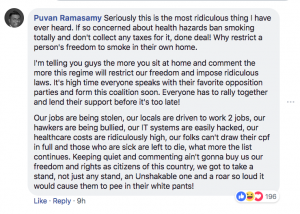 Additionally, Lee Bee Wah, Nee Soon GRC MP, talked about the increase of conflicts between non-smokers and smokes who live in the same HDB flat. She disapproves that “residential homes remain out of the authorities’ regulation when it comes to smoking,” and suggests that the sale of tobacco can be restricted and that tases on cigarettes could be raised, for the purpose of helping smokers stop the habit of smoking. However, Amy Khor, the Senior Minister of State for the Environment and Water Resources said that “not everyone would support the view that the government should intrude into one’s private space on the issue of smoking.” Ms. Khor believes that overreach in regulating issues between neighbors could be detrimental to their relationships and harmony within the community. Last February, Ms. Khor said in Parliament that to smoke within one’s own home is not within the government’s purview, and urged Parliament to have residents settle such issues amicably, urging smokers to exercise consideration about the negative effect of their smoking on their neighbors.